Gutter Helmet of Minnesota is a family owned and operated company. We are the exclusive dealer for Gutter Helmet & Helmet Heat in Central & Northern Minnesota as well as Western Wisconsin. Our company has been in business for 15 years and has installed gutter systems on over 21,000 homes during that time. Our goal every day is to offer the highest standard of customer service and we are looking forward to assisting you with your gutter needs. 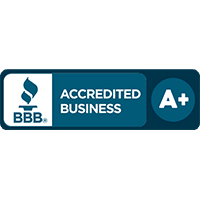 The Better Business Bureau has given us an A+ rating, and Angie’s List has honored us with a Super Service Award for the past several years. With a full line of gutter products, we can help you with protection as well as installing custom seamless decorative fascia gutters and replacing fascia and soffits. Our product line includes the Fascia Style Designer Series Gutters, Gutter Helmet and the Helmet Heat Ice Reduction System. Gutter Helmet has been the most trusted name in gutter guards throughout the nation for more than three decades. This effective protection system can be installed over new or existing gutters. With a unique, patented design, these guards will prevent your roof and your home from suffering water damage. Without the covers, you leave your home susceptible to mold, mildew, insects and even a cracked foundation. Say goodbye to gutter cleaning by working with our team at Gutter Helmet of Minnesota. Get your free quote today by filling out our online form or by giving us a call at (866) 750-1547.